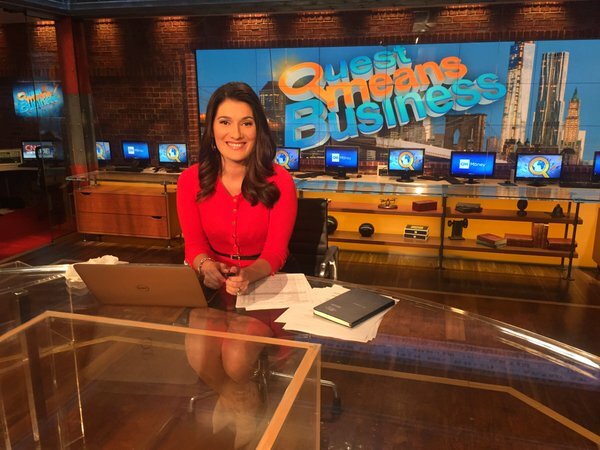 CNN’s newest business correspondent, Eleni Giokos, is going to be hosting Quest Means Business live from the network’s New York studios all week. Anchor Richard Quest, meanwhile, is away on assignment for CNN Business Traveller, where he is expected to fly around the world in 8 days, utilizing 10 airlines, 9 countries, 12 cities and 13 airports. Giokos is a former eNCA anchor as well as a CNBC anchor who joined CNN International in October 2015, based out of the network’s Johannesburg bureau as CNN’s East African business correspondent.